When you hire a Realtor it’s important to know what their duties actually are. Defining Realtor responsibilities and duties is often a skewed line because many real estate agents wear different hats and do what they can to help close the deal for their clients. A Realtor’s responsibilities above all other duties is their fiduciary duty. Fiduciary Duty in a nutshell means the agent must act and do whats in their clients best interest. Obviously your agent also has a responsibility to sell your home but believe it or not the fiduciary duty is much more important. A real estate agent probably wont ever get their license revoked for not selling a home but not acting in the best interest of their client is a sure way to have a short career as a Realtor. So what exactly do the Fiduciary Duties include? We’ll go into these a bit more in detail but basically your Realtor is making a contractual and ethical agreement to be loyal, be obedient, practice disclosure, exercise confidentiality, use of reasonable care and diligence and being accountable. What are Realtor Responsibilities and Duties? In order for an agent to properly serve their client they must be loyal, this means as an agent you must do what you can in your clients interest to gain the advantage for your client during the representation agency relationship. You must be obedient, this means listening and implementing your clients requests that are ethical and lawful in nature. Agents must practice disclosure, this means that agents have an obligation to disclose items like material defects in the property but also keep within ethical and legal guidelines associated with HUD. Confidentiality must always be at the forefront of an agents mind with representing their clients, an agent must use proper discretion and take necessary action and core to conceal financial details when discussing items with other agents and clients. The use of reasonable care and diligence is summed up with ongoing education, agents must prepare and educate themselves to properly and competently represent their client. Lastly, being accountable; agents should always be accountable to their clients, more specifically through the documents and/or monies they’ve been trusted with. RELATED: Realtor Commission, Who Pays It? 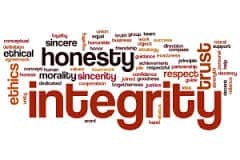 When agents properly represent their clients, these fiduciary duties are followed not by force but automatically through the agents moral and ethical way of doing business. Furthermore, not mentioned in this article but very important is the communication piece associated with proper representation. Your agent should keep you apprised of recent market activity, contract changes, inspection scheduling and updates and be thee for your questions throughout the closing process. For more information about Realtor responsibilities and duties, please contact us or leave a comment below. We’d appreciate the opportunity to assist you!